In case anyone cares, I uploaded some PSP wallpapers. I set up the Bioshock one to easily insert a new background if needed. Enjoy! The commentator said it's from Yoji Shinkawa. He's good. Are there anymore from this guy? Yeah I posted the comment. 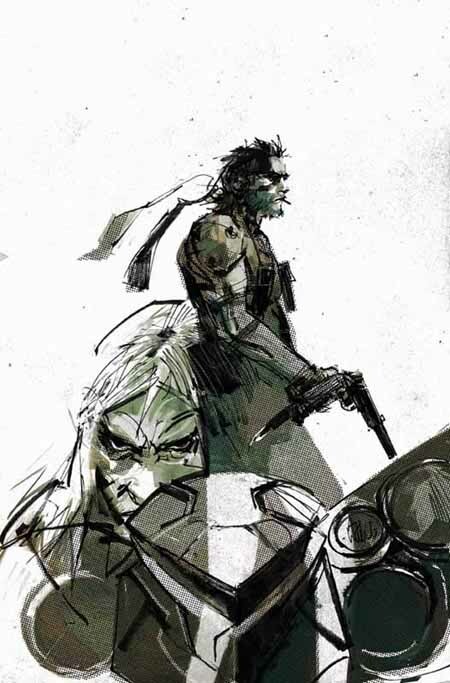 He's the official artist for the MGS series and I could probably make another one if I find some high quality images. I love that illustration. It's the wallpaper that I've been using on my PSP for a long time. If you've got a site that I can get some high quality jpegs from then I'd love to make some. I think the artist for the Digital Graphic Novel and the cutscenes for Portable Ops made this one. Ashley Wood, I think.